During a round of golf in AZ, it is almost impossible to drink too much water. While it might not feel like you are sweating a lot because it evaporates so quickly, you need a significant amount of hydration while playing in the desert. While water is most useful, sometimes something a little more tasty is desired as is some mineral intake. Soda, beer or a sports drink might hit the spot, but their caffeine, alcohol or sugar isn't going to benefit your game. GolferAid offers good hydration with numerous performance minerals as well as a lightly carbonated citrus flavor. You can get hydration and performance in one drink. 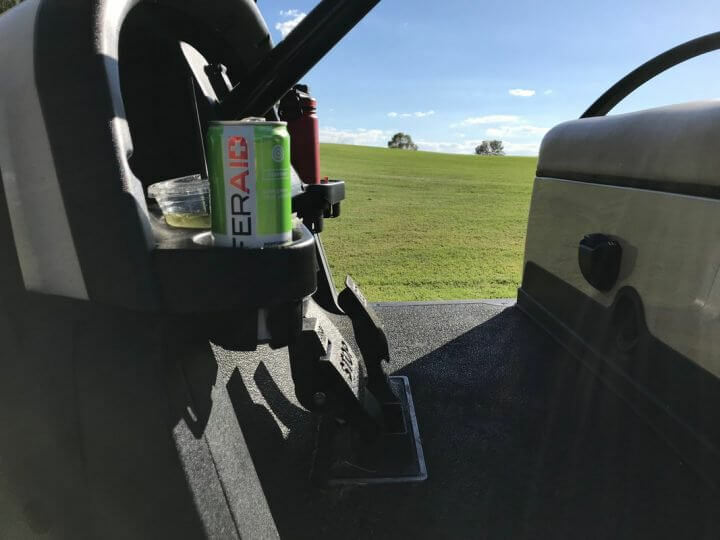 GolferAid is a product by the LIFEAID Beverage Company that makes a number of performance/health drinks. Obviously, GolferAid has a specific focus. The first thing I appreciated is a drink without caffeine or taurine. Many "performance" drink include one of those ingredients which I'm not really a big fan of. It also isn't pure sugar so that too is another nice feature of trying to limit that as well. So even if you are on a pretty strict diet, you should be able to enjoy a GolferAid on the course. I didn't find too many local courses that carried GolferAid on their beverage carts so I brought my own. I often would have one to start, one at the turn. (I still had water in between.) While maybe it was just a placebo mental boost, but I did play some really good golf while drinking GolferAid. The list of vitamins and minerals is rather long for a 12-oz can. I don't know what each one does or how it impacts your golf performance, but if nothing else it had a citrus (hint of pineapple flavor) to it so it was enjoyable to drink regardless of gained golf performance or not. GolferAid is a nice alternative to many other drinks out there. I like that it wasn't just a shot of vitamins, but a hydrating drink as well. It would be cool to see them offer it in a few more flavors like berry and fruit punch, but for not the light citrus drink will be my go-to pre-/mid-round beverage. I can't promise that you will lower your scores just by drinking GolferAid, but it certainly isn't going to harm your game like many of the other cart girl's beverage choices. You get hydration and performance in a tasty drink. 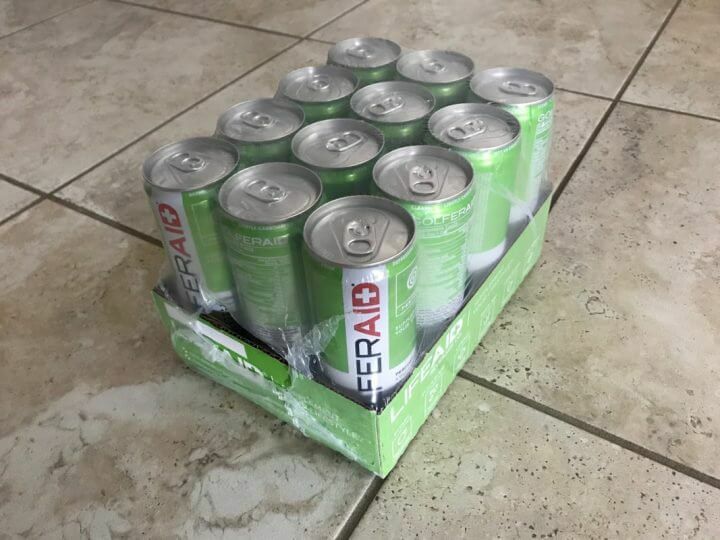 For more information, visit LifeAidBevCo.com.